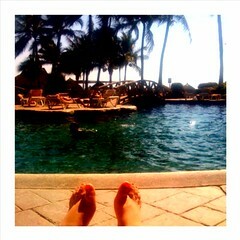 Some of my favorites: Toes, warm water, palm trees...now where's the drink??? Ahhhh.... I'm at least off to the southern hemisphere - 76 degrees and sunny for an entire week!